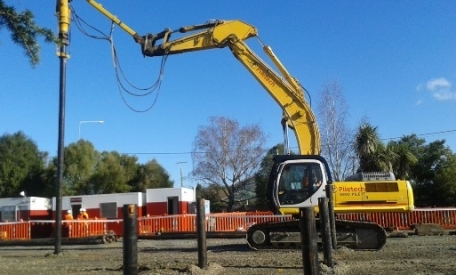 Halswell Library and Community Centre was procured under an Early Contractor Involvement model as part of a trial into the procurement method by the Christchurch City Council, with Fletcher Construction as the main contractor. It was important to both Fletcher and CCC that this process demonstrated value for the project, and Piletech was brought on board early in the design phase to assist. 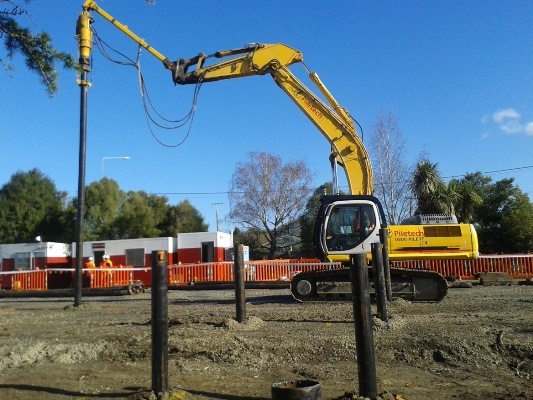 Because of this early involvement, Piletech was able to develop the best piling solution for the project with clear and transparent evaluation of piling risks. Piletech’s site team worked collaboratively with the Fletcher team and other subcontractors, enabling efficient processes on site. Piletech also trialled a new safety initiative on the project, using wireless headphones to communicate directly between all members of the site team. This had positive effects on both health & safety, and efficiency across the site, and is now in use across a number of Piletech sites.